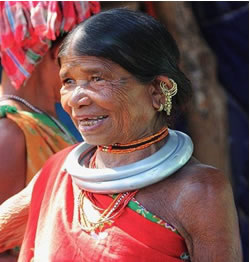 Gadabas belong to the Munda group of tribes found largely in Lamataput, Similiguda and Pottangi block of the district. The name Gadaba seems to have been derived from the word “Gada” which is a name of the river in the region and the final syllable “ba” means belonging to. They speak Gutab and Desia dialect of the Austro-Asiatic language family. The Gadaba extensively practice shifting cultivation and they cultivate a mix variety of millets, pulses and niger. The Gadabas are fond of dance and music. They are famous for their typical Dhemsa dance which is performed by the women wearing saree called Kereng. (Made of Kerenga Fiber). Omanatya are a tribal group who possibly derive their name from the word ‘Amatya’ which means Minister of State Affairs in the ancient Indian princely provinces. 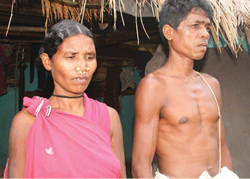 Omanatyas are largely present in Borigumma, jeypore, Kotpad and Kundra block of the district. This group of tribes mostly depends on agriculture for their livelihoods. While the men folks are clad in simple clothes while the women folks are adorned with traditional jewelry and distinctly adorn a black bead of necklace worn around the neck. Their popular dances include Junia Nach and Chera Chera Nach. Parojas are one of the largely populated tribes of this region. 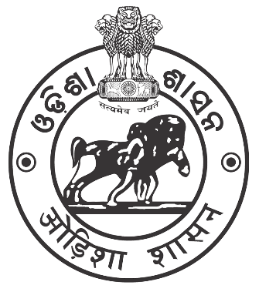 The word Paroja is derived from a local Odia term ‘Praja’ which literally refers to the common citizens of the kingdom. 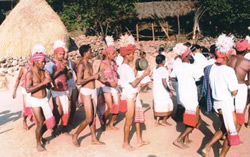 Paroja tribes are mostly found in Koraput, Semiliguda, Pottangi, Laxmipur, Lamataput, Nandapur, Dashmantpur, Jeypore, Boipariguda, Kundra and Borigumma block of the district. Their artistic talents find expression in Dhemsa, Dungdunga dances and in laga songs.The Paraja have many socio cultural features in common with the neighbouring major tribes namely the Gond,the Kondh and the Gadaba.In Koraput,The Paraja live with other communities like the Rana,the Paika,the Mali,the Domb,the Gadaba and the Kondh. 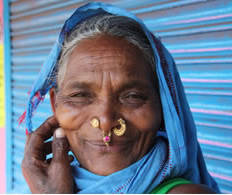 The Sauras are one of the most ancient tribes in Odisha mentioned in Hindu myths and classics, notably the Purans. They are called by various names such as Sabara, Soura, Sora etc. Saura men are marathon walkers. They are also expert climbers and hunters, with a habit of carrying an axe on one shoulder.The term Saura appears to have two connotations. One derived from the Sagories, the Scythian word for axe, and the other from Suba Roye,the Sanskrit term for carrying a dead body. Both of them fit well their habit of always carrying an axe over their shoulder and their primitive occupation of hunting & living on the spoil of chase.They speak an ancient Mundari dialect of their own called ‘Sora’. It belongs to the Austric family of languages to which Mundari belongs. Recently a script has been invented for this language.The Saura society is divided into as many as 25 sub divisions sucha as kapu, Jati, Sudho, Jadu, Jara, Arsi,Duara or Muli, Kindal, Kumbi, Basu, Lanjia, etc. It is based on occupation, food habit, social status, Customs & traditions, According to Thurston’s(1909) classification the Saora have been divided into two broad classes, that is Hill saora and the low country Saora. Widely known for their agricultural skills, Bhumia tribes are largely found in Jeypore, Boipariguda and Kundra block of the district. 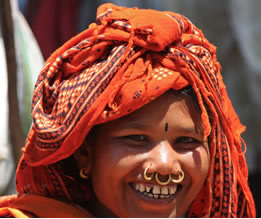 The female members of this tribal group are found with a number of ornaments such as bead necklaces, armlets, bangles, ear rings and nose rings. Bhumias being mostly agriculturists, synchronize their cultural tradition with agricultural practices. They worship Sun god,Sing Bonga and Dharau-both are considered their supreme deities.As they are agriculturist most of their festivals are connected directly or indirectly with agriculture. They worship god siva; observe Dhulla Puja, Asharhi Puja, Vadhan Parab and Nuakhia etc. There is an overtone of the cultural process in the traditional production practices of this agriculturist tribe. 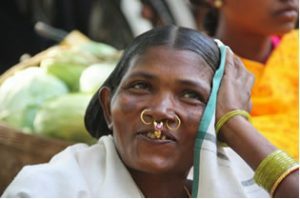 The Bhottadas are one of the numerically major agricultural tribe of Odisha.They are also known as Bhotara,Bhottara and Dhottada. The term ‘Bhottara’ has been derived from ‘Bhu’meaning ‘Land’ and ‘Tara’ meaning ‘Chase’. They are considered as the original settlers of Barthagada from where they migrated to Visakhapatnam and then to Bastar area of Madhya Pradesh and finally to the neighboring undivided Koraput district of Odisha. Some other ethnographers opine that they are basically Hindus who have been influenced by prolonged contact with the aboriginals. They speak Bhatri ,a semi autonomous and non literacy dialect with an established tribal identity that is linguistically grouped under Southern branch of Indo Aryan family of languages.The Bhottadas are an endogamous community which is divided into three endogamous divisions such as Bada,Madhya and Sana .Among them the Bada group claims social superiority the Bodo group claims social superiority over other two for their purer descent. These divisions are further sub-divided into various exogamous and totemistic septs(Bansa) such as Kachhimo (Tortoise), Bhag (Tiger), Goyi (Lizard),Nag(Cobra),Kukur(Dog), Mankad (Monkey), cheli (Goat) and Pandki(Pigeon) etc. They use Majhi,Chalan, Nayak,Randhari, Bhotra, Bhatra, Pujari, Bhandarkaria, Panigirit, Bhatnayak, Padhani, Choudhury, Somaratha and Khordia as their surname. Duruas are a smaller group of tribes differentiated from other by their physical appearance. Their physique is very similar to the African Negroes, medium stature having well developed chests and massive shoulders with broad nose. Their hair is black, coarse and curly and has scanty growth of beard and moustache. Duruas are mostly found in Jeypore, Boipariguda, Kundra and Kotpad blocks of the district. They are divided into various different clans like Soma, Surya, Yadu, Kadamb, Gangu, Garg etc. Traditionally Duruas were engaged by the native kings as quasi-military servicemen. However later on they shifted to agriculture and with changing time they have migrated to other forms of livelihoods. Duruas mostly worship Hindu gods.